The projectionist, one of the most fundamental custodians of modern day media, is slowly, inexorably, fading into antiquity. Like the Death of a Salesman, the projectionist sold himself too much, too cheaply, tying his future to the dwindling fate of the filmic medium, pouring his blood, sweat and tears into a distribution system that can no longer justify its own deficiencies. As film becomes a less favorable vehicle for the modern movie the man behind the curtain, the person who splices together your film and maintains all the invisible cogs that provide your theatre-going entertainment, will soon find himself out of a job. Having worked as a projectionist for over five years for multiple theatre chains, tracking the profession’s rise through the decades has become a bit of a hobby of mine, especially when today’s Digital Era has made the projectionist’s current transitional state so apparent. This discussion focuses on the high-level topics that are now obvious to most cinephiles and industry aficionados, namely the broad trends and factors affecting movie production and distribution, but above all this discourse is a tribute to those who have ever operated the movie projector... and a lament to a beloved profession. The late 19th century saw the rise of the projectionist from a novelty toy maker to a full-fledged conjurer, the cinema boom years of the early 1900s transformed the post from a unique curiosity to a mass produced staple of the media machine, and finally the prolific years of the modern era witnessed the projectionist's firm entrenchment in the exploding cinema industry. Since that time the projectionist has weathered the transformation to a global profession and the tumultuous journey to and from organized labor. 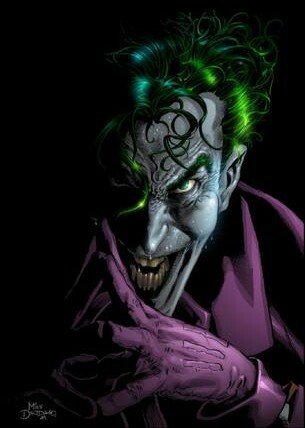 Through it all it has prevailed...until now. The projectionists' death was first predicted during the advent of television, then again during the debut of VHS tapes and home video delivery, a time when most industry pundits thought the theatre system had little energy left to woo consumers in the face of such advancements. The ensuing decades, however, proved those predictions wrong as the theatre house successfully uncoupled its fate from that of the projectionist and film itself. So what's changed? What will spell the projectionist's inevitable demise in the 21st Century? Upgrades in theatre infrastructure, the constant downward pressure on distribution costs and, most importantly, the drive towards higher degrees of screen realism will be the dominant factors that force the human element out from behind the reels once and for all. Though film has a robust history, its impact is relatively short-lived compared to that of the overall moving image. Stories are timeless; from the first skits of archaic song only their delivery has changed much through the centuries. Before the projector there were still directors, actors and storyboards. Before celluloid, Tinseltown and the laws of electromagnetic induction there were still sets, costumes and audiences. The moving image, at least in terms of storytelling, dates back to the first fires of ancient man. The trappings of modern day production value are as old as the Classical Greeks and their archetypal tragedies. Complex productions were first distilled in the great plays, and in a way film itself is a coup on that dominant purveyor of story. But the industrialized world has taught us that large audiences create large rewards and plays, unfortunately, are ill suited for mass production. Reproduction without recording gets expensive, which is why the invention of the film camera and its associated projector broke apart the bottleneck of organized storytelling so completely. Arguing whether or not the stories themselves have changed much since those open-air amphitheater showings is beyond the scope of this article, but it's important to note why they were so soundly superseded: a live performance is just too damned bulky and too damned expensive to package and sell to wide audiences. Enter film. Layers of light-activated emulsions, cemented to a cellulose acetate or polyester base and combined with the timeless story created a visual phenomenon that has forever changed human civilization. The story, once constrained to song, traveling performers and the written word has now been unleashed through a new medium with as much force as the invention of the printing press, and indeed many similarities can be drawn between the two innovations. The dramatic spread of film technology made movies available to the masses and prompted the rise of the first powerful industrial-entertainment complex, i.e. Hollywood. The tangled, California-based web of multinational studios quickly erected a monopoly on product and instituted a strict system to control profits at every level of movie distribution, which has facilitated the need for efficiency in everyone downwind of the studios. For the most part this has been accomplished at the national level by rampant theatre chain mergers and the standardization of shipping and print contracts to control film transport and rental fees. At the local level exorbitant box office and concession prices have kept the scheme just profitable enough to function. This tried-and-true formula, however, doesn't cover up the fact that the current distribution system of Hollywood is rife with inefficiency and waste. The medium that allowed movies to grow into an international staple has become one of the greatest burdens to its own future propagation. Film costs money, takes time to produce and handle, creates waste and doesn't always provide the best viewing experience. It's also fragile and heavy, two criteria that are anathema to efficient distribution. Let's say the next big wide release is set to debut on 2,500 screens. The finished print, after being spit out from the camera then transferred to digital bits and back to film again, will continue to scale-up where eco-unfriendly dyes and photo-sensitive chemicals will be printed on over two miles of 35mm film per print, the average unwound length of a 2-hour movie. To facilitate easier shipping it will be broken up onto four to six reels and shipped in hard plastic boxes (Fox) or twice as many metal cases (every other distributor). These 40 to 70 lb. parcels will then be delivered to theatres one to three days before release, normally by a combination of plane, UPS and/or private courier. In our fictitious release scenario that's anywhere from 50 to almost 90 metric tons of film and packaging delivered around the country by pricey shipping means... per wide release. 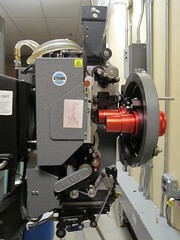 Once the print arrives at the theatre the projectionist arranges those reels in "head to tail" order, removes the protective bookend segments (the header and footer frames) on each reel, splices them together and finally adds whatever trailer pack the distributor and theatre chain agreed upon. 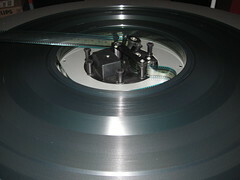 A skilled projectionist can put together a short kid's flick inside 20 minutes, but a longer film that comes in different reel-to-reel orders can take up to an hour. Though not strictly enforced most theatre organizations prefer each print to be test screened before opening day to make sure there aren’t any problems with the film or the splices used to build it. Aside from the odd off-Friday release, this added workload can make already busy Thursdays (usually the end of the theatre business week) that much more hectic. After the print is built and staged on its projector it must traverse a system of rollers to get from the platters (where the film is fed out from) to the projector head (which projects the image) and then rewound back to the platters. 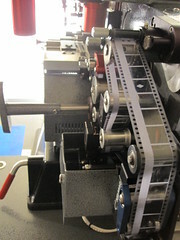 Plastic rollers guide the film through this journey, but a improperly aligned roller can stretch the film, crimp one of the edges or, worst of all, scratch its surface. The gate assembly, the mechanism inside the projector head used to clamp down the moving film in between the light source and the lens, can also wreak havoc on a print if not properly maintained. Short scratches can simply be spliced out of the film, but long scratches create those intolerable, vertical white or green lines that dance across the screen for the entire length of the movie. Predicting technology trends in the upcoming decades cannot be discussed without analyzing their ecological impact. A quick run-down of the 35mm film lifecycle illustrates that its synthesis and transportation requires a lot of energy even before arriving at the theatre. But on top of the additional work film prints impose on theatre staff, the building itself must be designed with extra requirements in mind to keep the prints clean. The projection booth layout is dictated by the location of the theatre's auditoriums and as a result the modern projection booth is a large, open area purely out of spatial necessity. Dust and other particulates readily settle on film, causing dull images and dirty projectors. To combat this the projection booth is air conditioned just like the auditoriums, with constant air flow applied throughout the booth to keep the film and its associated hardware clean. On a hot summer day that's a lot of added square footage to keep cool. In short film is needy, requiring special shipping, specific environmental conditions and loads of prep time to effectively deliver it to the masses. All this equates to more energy, more money and more CO2 to produce film and keep it in circulation. Even if current day film was 100% recyclable and totally safe for the environment, which it's not, the fact that movies must be stored on any type of physical medium simply means more stuff. The film industry has already begun to embrace 'green' production; movies like The Day After Tomorrow (2004), Syriana (2005) and An Inconvenient Truth (2006) have all pioneered the idea of carbon-neutral film productions. The entire developmental lifecycle of films are being scrutinized for waste, from pre-production through release and it's only natural that distribution will logically follow suit... especially when 'green' labels carry positive public opinion and, more importantly, bigger bottom lines. If the only pressure against film as a medium was the current inefficiencies touched upon above, then the projectionist would still be a valuable cog in distribution. The theatre industry will accommodate the special requirements film imposes, and indeed it has so for decades, as long as it presents consumers with a desirable product. 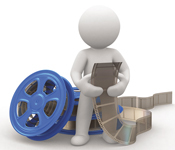 Advances in 3D, CGI and overall digital technology, however, have proved that 35mm film is quickly becoming a limitation rather than an asset. While film still provides the highest resolution for visual recording, especially in low-light environments, the digital age is quickly catching up. The integrations of sound, color and special effects in film's 20th Century infancy have given ample time for film theorists to analyze the impact of new technology on cinema. In his article "Colour and Film Aesthetics," film theorist Steve Neale makes an obvious yet understated point that the ideological determinant for new cinema technology is a drive towards realism. Sound was incorporated into movies because people can hear, color because people view the world in multi-hued tones and special effects because explosions and other physical phenomena are complex reactions that can't be duplicated by camera tricks alone. In a similar vein of thought theorist John Belton, in his essay "Technology and Aesthetics of Film Sound," points out that cinema "seeks to mask its operations and to present as 'natural' that which is a product of ideology." This is a powerful concept, one that I think gets to the root of our love for movies: to escape reality and immerse ourselves in a story. Digital media increases the capabilities of visual effects, heightens the degree of realism and further masks the nuts and bolts of film, err, movie projection. It may seem paradoxical that, if our attraction towards movies is rooted in escapism, the tech curve is bending back to a sense of reality. This brings up an important delineation between realism and screen realism. People's heads aren't actually 10 feet tall, human perspective doesn't always follow along with the 180-degree rule and fast-paced action isn't slowed down for our benefit in the real world. And yet we expect these conventions, and sometimes depend upon them, to produce a coherent, realistic mainstream movie. Unfortunately this is where the projectionist and the medium can be at odds with the tale they’re trying to spin. The projectionist has always been self-effacing; they work hard to remain as unobtrusive as possible during operation so you stay focused on the story and not on the film whipping through the projector. But when a bad splice, damaged film, faulty hardware, or even the loud whirring sound of moving sprockets is noticed in the middle of an engrossing scene the illusion is broken, the screen is betrayed, entire worlds collapse and the story is ultimately diminished by the celluloid it relies on. Simply put the filmic system is too complex and has too many moving parts to compete with the end product parsimony of the Digital Era. Not even touching upon the exponential rise of DVR, home theatre systems, Netflix and internet video delivery, the digitization of movies is already transforming the industry. Instead of in a 70 lb. canned behemoth a movie can now fit on a half-pound digital drive and be shipped for a fraction of the cost. Even uncompressed at over 300 gigabytes, a digital print can fit on a cartridge no bigger than a new removable hard drive. They are also cheaper for theatre chains to rent, don't wear out over time and require little to no preparation for viewing once they make it to the theatre. A digital print doesn’t have to be put together, doesn’t have to be threaded through a roller assembly for each viewing and can be started by pushing a button once the cartridge is loaded. But above all these digital prints provide a better viewing experience and, because they fit into a simpler projection scheme, are less susceptible to break down and are less impacted by ambient environmental conditions. An upgraded facility has more flexibility with digital prints. Sold out a new release showing unexpectedly? No problem, cancel an unpopular screening and pipe the higher demand movie into the newly freed up auditorium. With a film print this can only be done with projectors specially designed for "interlocking," a process where a single film print is threaded through two different projectors. If you've ever seen a movie that's playing in two different houses at the same time then you've probably watched an interlocked film. The problem with this is it’s often a big risk for the theatre to undertake, if one of those projectors has a problem then they both go down. I remember going to see American Pie opening weekend back in 1999, the theatre interlocked the print across two sold-out auditoriums. One of the projectors went down 20 minutes into the movie, both screenings shut down, riots ensued and many a lobby standee was stolen. Could digital movie distribution prevent riots? Possibly. The advantages of going digital are obvious: it's cheaper, faster and delivers a better, more consistent product. Digital cinema won't truly catch on though until the profits of modernizing the system greatly outweigh the cost of upgrading its infrastructure. That tipping point is quickly being reached and when it's crossed where will that leave the projectionist? When a movie can be started at the touch of a button and a smaller, more specialized technician force is the only support group needed for equipment service then the projectionist will effectively become extinct. Sure some purists will cling to the projector, but those projectionist jobs will be relegated to the few art houses and small theatre chains that choose to stick with the antiquated hardware. 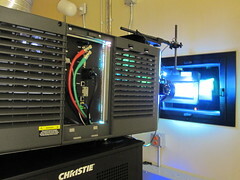 As digital prints become more popular physical film prints will become more expensive, further limiting the future spread of film projectors. Before the theatre industry fully embraces the total digitization of film prints they'll have to invest in broadband infrastructure and security, but it's already begun. There's no better example of this shift than Regal Entertainment Group's Twenty pre-show. For those not familiar with Regal theatres the Twenty is a 20-minute digital pre-show played before the trailer pack, which offers audiences a smattering of behind-the-scenes footage, industry interviews and traditional advertisements that's far more entertaining than comparable slide show fare and their intolerably repetitive movie trivia. Due to the Twenty's popularity CineMedia, the company behind the digital distribution, has branched out to also provide digital pre-show capabilities for AMC theatres, thus capturing the top two theatre chain markets and nearly 54% of North American screens. Digital pre-shows require almost no attention from the local theatre staff, are continuously updated remotely with new content and provide district managers with a powerful monitoring tool. After the Twenty concludes a Regal logo screen is displayed with projector icons in the upper left and right corners. That screen is the cue for the projectionist to start the film and the time between when that screen comes up and the projector takes over is recorded and sent to headquarters. Now upper management knows just how many screenings were started late and the average delay between the posted and actual start times, removing a lot of anonymity theatres used to have. The digital pre-show is also part of a long-term strategy where concerts and sporting events will be piped into theatres to supplement and increase income during product lulls. It won't be long before movies themselves are downloaded directly to theatres and the hard digital copy will be merely a back-up in case of technical difficulties. When that happens even pushing a button won't be necessary; local theatre management will only have to input showtimes and the system will take care of the rest, starting pre-shows and main features remotely and leaving theatre staff with the tasks of selling tickets and concessions and cleaning up after patrons. In 1984 sci-fi author William Gibson published Neuromancer, a groundbreaking novel portraying a totally digitized near-future. 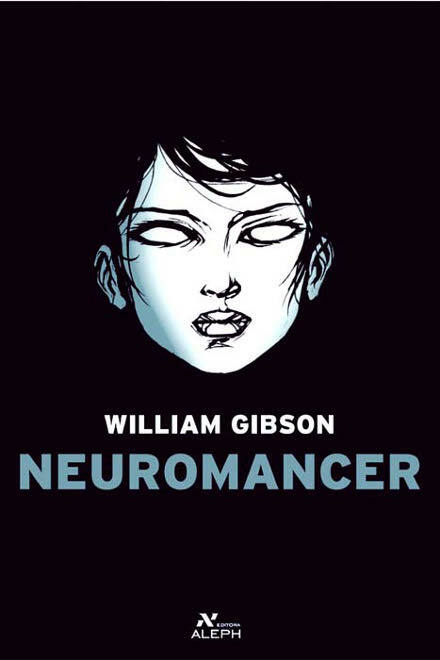 In Neuromancer the protagonist is a “console cowboy,” a cyber hacker capable of connecting his brain to a global computer system where he can virtually surf the digital ether. The novel tackles the intricacies of information control, artificial intelligence and the staggering complexities of a society connected almost beyond the point of human comprehension. What it expounded upon most though was the cyberpunk bravado of the computer hacker and how nothing is really safe from theft in a digital world, but in truth the future will be crazier than even Gibson’s far-reaching intellect could have imagined. Digitizing film prints and remotely downloading them to locations will therefore present significant security risks: while no one is particularly interested in hacking the newest Twenty pre-show feed many will try their hand at jailbreaking the final Harry Potter flick. The threat of hackers compromising the large theatre chains’ satellite feeds will be the greatest factor delaying the total transition to digital, first-run distribution. To get around this problem and push digital projection as a whole, George Lucas simply brought the hardware with him to select theatres for the release of the new Star Wars films. The first theatre I ever worked at had auditoriums that were deemed adequate for a Attack of the Clones advance screening. Two suited individuals arrived the night of the showing with what looked like military-grade weapons cases. In actuality they were mobile digital projectors pre-loaded with the movie. The two suits stared at those mobile projectors from the time they broke them open until the time they were ready to pack them up and leave, but no one pirated the movie on that screening. Such a system isn’t feasible for large scale distribution and yet neither is the digital print cartridge scheme in the face of ever more powerful pirates. If a studio has the choice of total control over their movie prints, i.e. a system that allows them to dictate the total distribution with satellite downloads and streaming events, they’ll opt for it every time. Digital cartridges are a nice short-term solution, but the real cost savings will come from the complete elimination of physical shipping altogether. For that distributors and theatre chains will need some heavy duty encrypting, most likely on a revolving turnover schedule at both the origin and receiving locations. This could get expensive, but not as expensive as a pre-release blockbuster leak in a world that is becoming more reliant on Internet video delivery every day. Like any instance of implementing new technology the digital delivery of first-run movies will go through a series of growing pains and adjustments, but the enormous cost-saving opportunities and increased consumer demand for digital media will undoubtedly drive the changes forward. 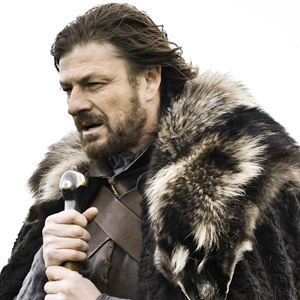 As a fan of movies in general all of these advancements in production and distribution will only benefit me; movies themselves may not get better or become cheaper to see in a theatre, but they will look nicer and provide a more entertaining experience. As a former projectionist, however, these developments leave a bitter taste in my mouth. These feelings are undoubtedly rooted in nostalgia, reminding me of my fond times laboring over 35mm film, building prints and successfully screening sold-out shows. Being a projectionist gave you a feeling of ownership over the films, imbuing a level of righteous responsibility I have yet to find elsewhere. Handling the film and maintaining the projector hardware cultivated a certain respect for the system and its nuances. Such experience also provided a level of intimacy with the movies themselves that, however unfounded it may have been, made you feel more connected with everything you love about cinema. I fear such sentiment will be totally lost on the new, diminished breed of projectionist that survives into the digital future. Looking ahead at the future of digital theatres makes it even more apparent just how clunky the current film distribution system really is. It makes me wonder at the irony of how the physical manifestation of a thing can disrupt its essence, how the vector can hinder its own message. Film as a medium allowed movies to flourish around the globe and like a snake shedding so much skin it will be left in the dust as the movie moves to a more ephemeral state. While this transition occurs the projectionist will also be cast off because it must, because in order for the story to evolve it must step outside the physical trappings holding it back. Rest in peace Projectionist, may you find a prominent place in the annals of motion picture history... and take comfort in knowing that, at least among your brethren, you are remembered in a way the Salesman never was. Though to say that digital gives a better picture is somewhat misleading. Digital has less issues than 35mm. But a ideal projection of a 35mm may offer slightly richer colors than a digital projection. I say may because in all the studies shown between digital vs. 35mm, there is no absolute answer. Some viewers see better images with 35mm, some see better with digital. Also, our brain responds differently to watching 24 frames per second vs. pixels. This isn't to say that either one is better or worse, but that there is a different viewing experience. The issue of course is that an ideal projection of a 35mm won't happen the majority of the time. Either the print will have some slight issue or the projection will. So the most reasonable choice is to go digital. Yea Magnus good point, and one I had not really considered. The viewing differences between both optimal setups right now is pretty minuscule, and heavily dependent upon the individual's preference. Personally I'd rather go with a clean 35mm print on a well-maintained projector over digital, but yeah 35mm film has kind of hit its resolution ceiling whereas digital development has really only just begun. Agreed. Ideally, I'd want to see a film shot in 35mm to be shown in 35mm.